Bleach Shield® salon towels - bleach proof, color safe & stain resistant. Spa Bath Robes & Spa Bath Wraps available at very low prices now! Most Products Sold by the DOZEN. Description: Wholesale White Blended Bath Towel Premium Plus. Not too big and not too small. Not too heavy. Easy to dry. Perfect for locker rooms, gyms and athletic places. Towel loops are made of 100% Ring Spun Cotton. Blend is in the ground of the towel. Helps give durability during repeated laundry washings. This is a medium weight bath towel which is not too heavy and not too light. Is a perfect size for a locker room bath towel. 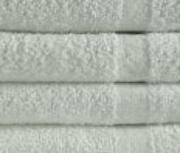 Description: Wholesale Color Bath Towels with a dobby border. Made with Premium Plus quality ring spun cotton. Perfect for any business or domestic use where a bath towel is needed. Get matching Premium Plus hand towels with these. Available at a great price offer! Description: Charcoal bath towels available in bulk. Made with Premium Plus 100% Ring Spun Cotton. Fancy dobby border. Very absorbent and just the perfect size to use. Priced very nicely here at Towel Hub. Towel wholesale at its best! 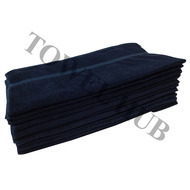 Description: Wholesale Navy Blue bath towels in bulk. Minimum order 1 dozen. Made with Premium Plus ring spun 100% Cotton. Dobby border and End dobby hem. Tuck-in selvage therefore no chance of fraying. 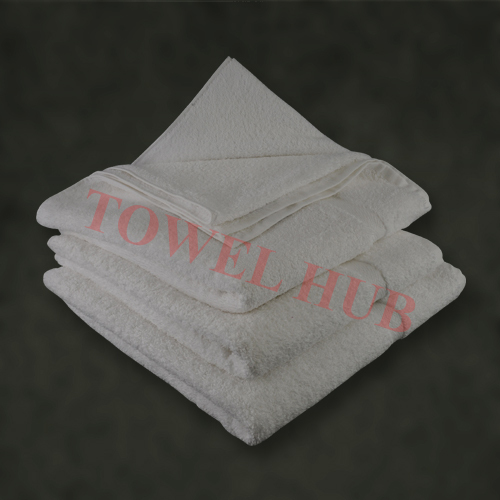 Excellent quality bath towel for your business at a great price!